Heat Wave has everything you want in a herd sire. Starting out that he is FULL ACCOYO with an AFD of 23.7 at 45 months with a SD of 4.9 and CV of 20.6, he is holding his fineness and is uniform throughout. 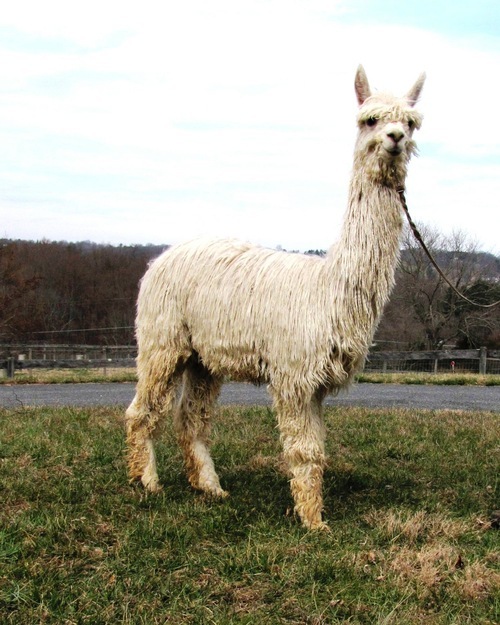 He has good density, shearing over 7# each year, and has a uniform white fleece with NO FAWN OR BLACK fibers. 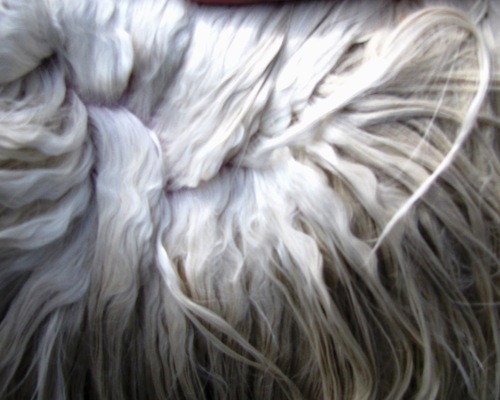 Heat Wave's regrowth is amazing, coming back with good locking and high luster. Viper was born with an incredibly fine fleece and shining luster. 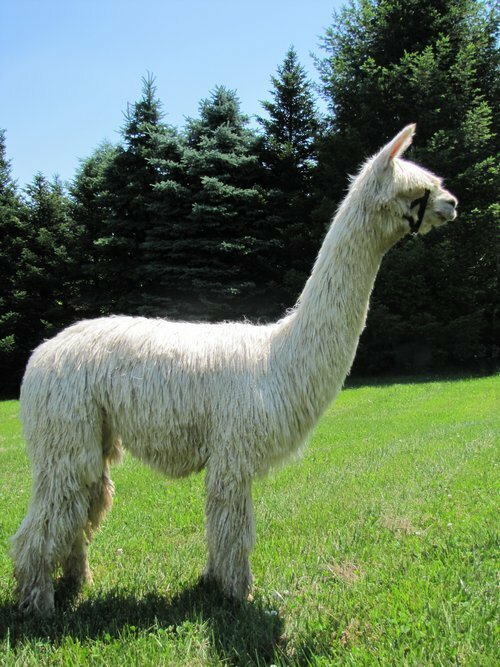 He is the product of 2 full Accoyo parents who produce and incredible amount of fleece annually and retain their fineness. Viper has correct conformation and a pleasing personality. 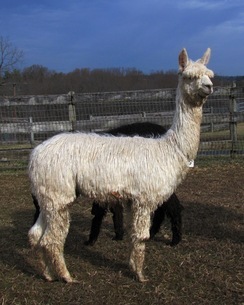 He is inquisitive and friendly and is halter broken. Viper's 2017 histogram yielded 21.8 AFD, 4.8 SD, and 21.9 CV. His sire, Heat Wave, has everything you want in a herd sire. Starting out that he is FULL ACCOYO with an AFD of 23.7 at 45 months with a SD of 4.9 and CV of 20.6, he is holding his fineness and is uniform throughout. 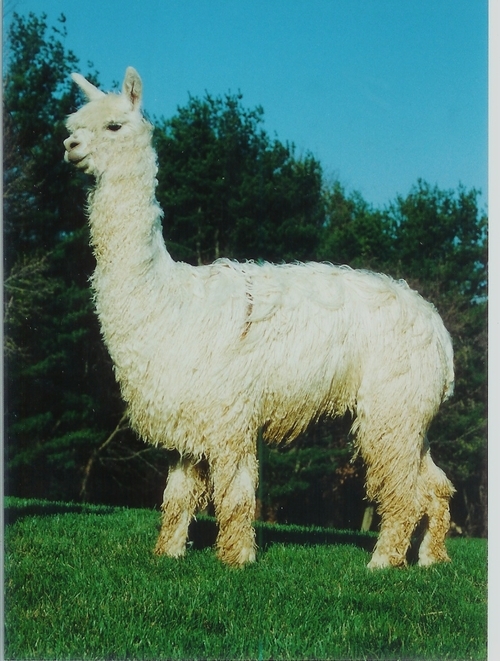 He has good density, shearing over 7# each year, and has a uniform white fleece with NO FAWN OR BLACK fibers. Heat Wave's regrowth is amazing, coming back with good locking and high luster. Viper's dam, Accoyo Moonshine, is an Accoyo Torbio daughter and a Champion. Moonshine has an easy going personality and is a top producer. 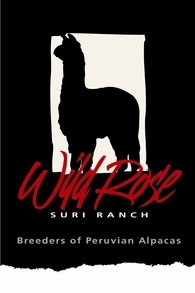 She consistently produces high quality, vigorous crias. Contact Patti for more information to to visit at 443-740-4240.